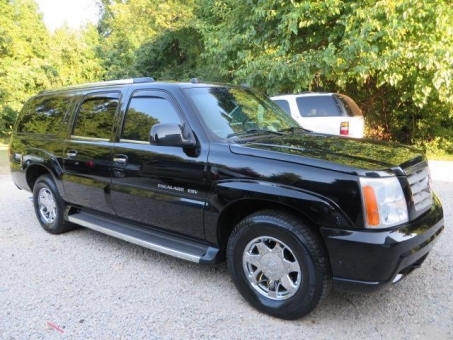 This is an SUPER CLEAN 2005 Cadillac Escalade ESV in amazing condition!!!! Only 131K miles!! This one has been VERY well cared for and it shows! It has never been abused or modified in any way!! The previous owners did NOT have kids or pets and did NOT smoke!! Loaded up with every available option!!! If you are looking to make great saving while shopping for best used cars, you’ve come to the right place, that’s for sure. Here at 4CarDealer we’ve got an impressing variety of used auto, be it family cars or not. The ability to find such a large amount of reliable used cars gives you the assurance that the auto dealers present on the website will provide you the best auto cars for sale out there. If you want to sell your second hand cars, our platform will be a great car place to display your vehicles. It does not matter if you are just a car owner who wants to sell his second hand cars, a used car dealer who wants to put their car outlet in front of as many people as possible. To sum up, 4CarDealer is the best place for a used car salesman, auto dealerships, car stores, local car dealerships, and anybody who wants to get on the best used car market that you can find out there. 4CarDealer is the best place to buy or sell your used auto. If you want to buy a car we’ll offer you a large variety of second hand cars. If you are an auto dealership or a car owner, we’ll provide to you a massive pond of customers that are always looking to find a nice used auto for themselves or for their family. Our platform offers affordable, stylish and reliable used cars from best car dealerships, car stores, car sellers or local auto dealers. We’ll make you used car purchase affordable and safe.